AU $349,500	Now reduced Need Finance? PAUL NICHOLLS BOAT SALES	Need Insurance? AU $349,500	Now reduced Need Finance? Need Insurance? 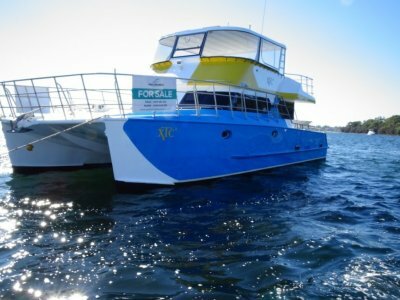 This is an amazing boat built for exploring the likes of our northern coastline. 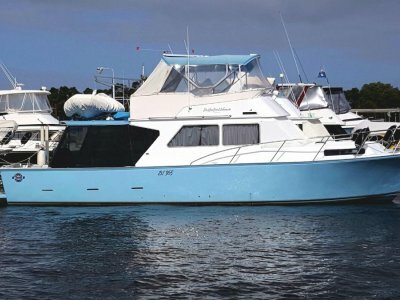 A very capable live aboard vessel with all you need for extended trips to remote locations. 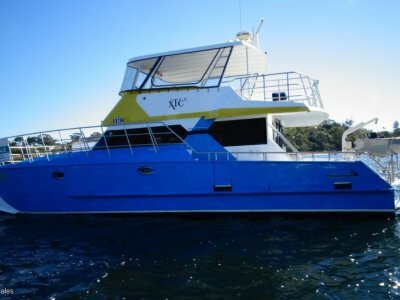 Originally built for Kimberley journeys from north Queensland, XTC has found its way to Fremantle with its second owner. With a 5.5m beam and 13.5m lenght she has ample space for your invited guests. Powered by 2 Styr diesels she is capable of up to 20knots with a cruise of 14.5 knots. XTC runs a 5kva Styr integrated flywheel generator system on the starboard engine and carries 1500ltrs of fuel. 800ltrs of water and a little wonder water maker which makes 31ltrs an hour keeps the water topped up. The vessel has two double beds on each side with the toilet on one side and bath and basin on the other. A second toilet with a holding tank is accessed from the aft deck. The interior is well set up with a generous sized galley, 2 fridges, stove and microwave. Towards the aft deck is a lounge on one side and a table and seating on the other. The flybridge is huge to say the least and capable of a small gathering. Also has a fridge, BBQ and ample seating. The aft deck has another fridge with access to swimbourd from both sides. Also has the dingy mounted in the rear section. 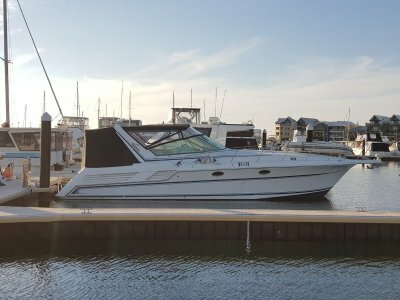 This is a special boat and is well priced for a quick sale. Call Paul or Mark for an inspection. NAVMAN FISH FINDER, RAYMARINE SMART PILOT AND RAYMARINE CHART PLOTTER. 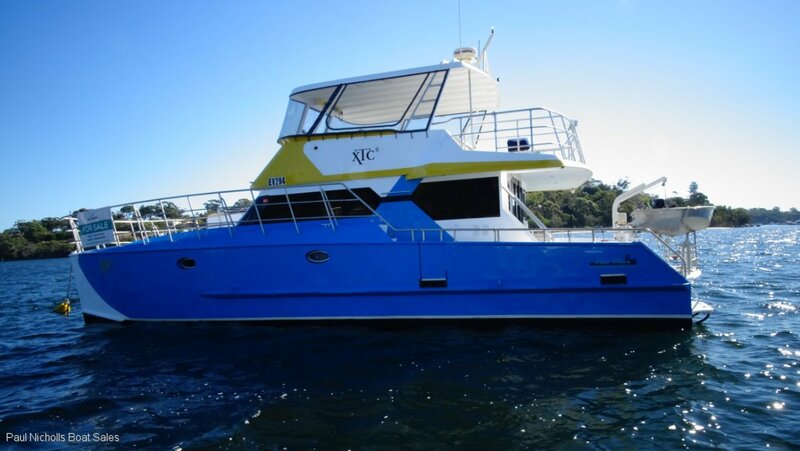 XTC IS LOCATED IN EAST FREMANTLE PERTH WA.